Karbonn has launched its brand new budget quad-core Android smartphone in India. Quad core android smartphones at the budget price are giving tough competition to other single and dual core powered smartphones. As chip makers are coming with cheap Quad core chipsets for android smart phones, Qualcomm too has brought its quad-core chip for budget smartphones and the brand new Karbonn S5 Titanium smartphone comes with quad-core snapdragon processor. What distinguishes this handset from other budget quad-core handsets is the Snapdragon S4 quad-core chip which beats the mediatek quad-core chip in every department. 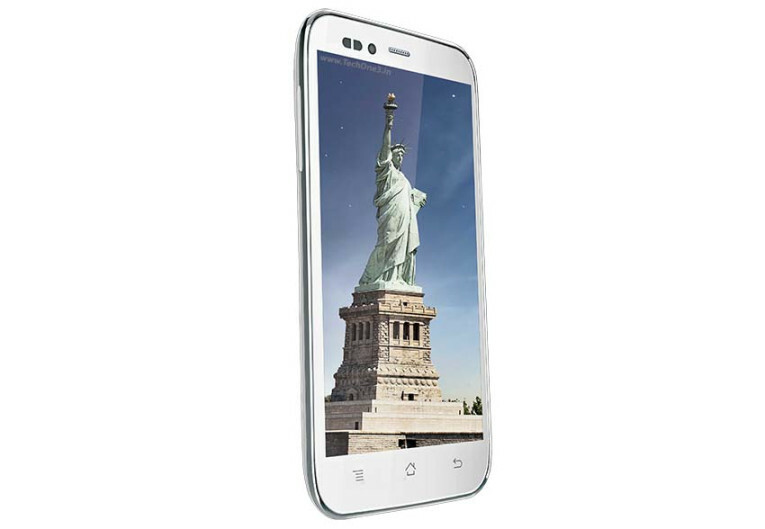 The Karbonn S5 titanium has 5 inch IPS display with an average resolution of 540 X 960 and 220 ppi pixel density. The handset runs on 1.2 GHz Qualcomm snapdragon S4 quad-core processor which scores better than most of the snapdragon S3 dual core processors in the market. The handset has 8MP camera and 2MP front cam, 2000 mAh battery and comes out of the box with android 4.1 jelly bean. The handset lacks in rendering good gaming experience with high-end games (requiring 50 -60 fps). When it comes to Benchmark scores, Karbonn S5 Titanium scores about 4200-4300 in Quadrant, just over 10000 in AnTuTu benchmarks. When it comes to graphics benchmarks the device score around 39 FPS in NenaMark 2. For a price of 12k INR the handset offers too much. Let’s look at full specifications of the device.